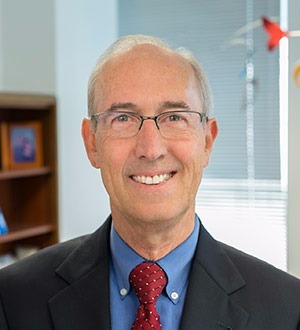 Herb Stevens is one of the nation’s foremost authorities on financing community-based projects by leveraging public programs, including tax credits, with private capital development. His clients include the largest capital markets investors, local governments and for-profit and nonprofit developers of important projects. As Chief Innovation Officer, he has also helped attorneys at Nixon Peabody develop new, more responsive legal services. I have created new financing platforms for ground-breaking projects throughout the country in the areas of community development, historic preservation, renewable energy, affordable housing and sustainability. For example, when two important federal subsidy programs, the low-income housing tax credit and the new markets tax credit, were in their “startup” phases, I helped businesses and attorneys create the financial structures financing channels to deliver the federal benefits to local communities. Some of my favorite projects have been working to bring new investment and new life into underserved communities. Larger projects can serve as an anchor to revitalize an entire neighborhood, such as turning a beautiful but long-vacant armory into a vibrant theater; restaurants and night life soon follow. Less glamorous but perhaps more important are projects that bring jobs, such as manufacturing, retail and charter schools. I’ve worked on a wide variety of renewable energy projects, from nationwide residential and commercial solar to the first state-sponsored fund that put solar on homes for low and moderate income families. I’m currently working on a new way for affordable housing residents to participate in the benefits of solar energy using community solar laws. More recently, I helped in the financing of a 75-megawatt biofuel plant that has converted a 19th century wood-based local economy to a 21st century center creating both jobs and renewable energy.